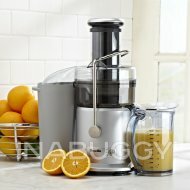 The Brentwood JC-500 Stainless Steel Juice Extractor has a slide-out pulp container to dispose the pulp easily. 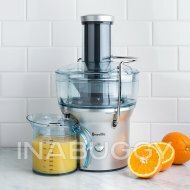 This 800-watt powerful juicer has 2 speeds, a Stainless-Steel Blade and Housing, and an easy-to-use safety lock feature. It has a wide opening to accommodate huge pieces for faster loading. The cutting-edge extraction method this product uses removes the juice faster, efficiently, and easily.